The Shiv Sena is gearing up for a massive show of strength ahead of the Brihanmumbai Municipal Corporation (BMC) elections, scheduled for February 2017. The cordial relation between BJP and its ally Sena has not hit the happy notes in a while and the two parties have decided to go solo in the upcoming civic polls. In Mumbai, there are 36 MLAs, out of which Sena has 14 MLAs and BJP has 15. 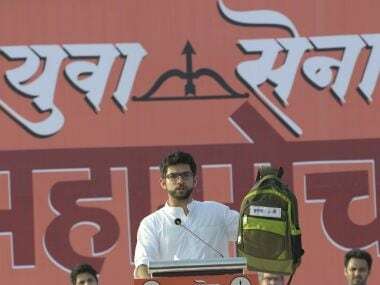 With the polls coming up in not more than 100 days, Shiv Sena is pushing its youth wing president Aaditya Thackeray, party chief Uddhav Thackeray's son, to lead the party by focussing on youth and civic issues. With Aaditya fighting for causes like a happening night life in Mumbai, the party has decided to tap on the youth voters in the city. In Mumbai, there are 227 corporators — Sena has 75, Congress has 52, BJP has 36 and Maharashtra Navnirman Sena (MNS) has 28. Sena, this time, wants to concentrate on all wards with special attention on the youths. In 2010, Aaditya was introduced by the late Balasaheb Thackeray during a rally at the Shivaji Park and officially inducted the fourth generation of the family in politics. The 26-year-old Aaditya is not a born leader but he definitely is learning. And the party thinks he also elicits faith in young voters because they can connect with a younger leader. Slowly becoming the star campaigner for the party, Aaditya, in the last five years, has concentrated on crucial issues that directly concern students — fee structure, syllabus, weight of school bags — to name a few. Aaditya-led Yuva Sena is solely concentrating on young and fresh voters this time around. Before March 2017, there are 10 Municipal Corportation elections and Sena chief Uddhav is the main campaigner for most of the rallies but son Aaditya has stepped up and is sharing the responsibility by attending rallies across the city. On Saturday, Aaditya led a rally from Girgaum Chowpatty to Islam Gymkhana in Marinelines, to protest against state government's "flawed" education policy. More than 10,000 Yuva Sena members, parents of students and majority of Sena leaders participated in the rally. Saturday's rally was crucial as it was the first protest against the BJP-led government which targetted Education Minister Vinod Tawde which was led by Aaditya. The agitation — called Deta ka Jaata (grant our demands or go) — focussed on the overall mess in the education sector. 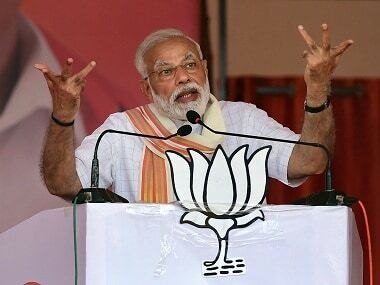 In his speech, Aaditya attacked the BJP government and said, "Is there any difference between the Congress-NCP government and the current BJP government?" Interestingly, BJP and Sena are allies in Maharashtra. But that has not deterred Sena leaders in being extremely critical of the BJP government in the state. "The education department has become worse. With every new government, we hope the situation will change, but it doesn't. We need rapid and radical change which will improve the general scenario of education in the state. The mess is everywhere — admission, examination and graduation. We are raising our voice against the mishandling of the education sector and despite repeated assurance, Vinod Tawde has done nothing for the sector," Aaditya said on Saturday. Raising the issue of donations in schools and colleges, lack of sport facilities, bad canteens, and lack of good governance, Aaditya said, there are no acche din for the education sector in Mumbai. The youth leader dismissed questions which suggested that he held the morcha to prove his leadership. "I don't need to prove anything. In 2010 on Dussehra, my grandfather (Balasaheb) handed me over the sword in presence of lakhs of shivsainiks. He has faith in me and whoever receives a sword from Balasaheb doesn't have to prove their leadership," he told the media at the rally. Tawde, on the other hand, downplayed Aaditya's rally. "The issue related to first to tenth standard comes under BMC jurisdiction. Shiv Sena and BJP are in power in BMC. The higher education MOS portfolio is with Sena. 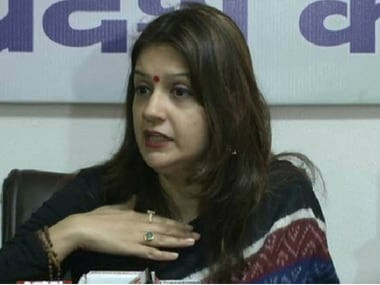 Government is serious about the issue and most of the issue are resolved," Tawde told Firstpost. Thackeray family has always focussed on the youth voters, said the media and public relation chief Harshal Pradhan. 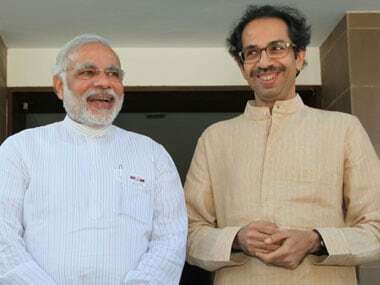 Speaking to Firstpost, Pradhan said that Balasaheb was a big hit with the youth and so is his son Uddhav. "Uddhav is the main face of the party and his son Aaditya has come up as a successful youth leader. 'In the last five years, Aaditya has led many agitations and Yuva Sena is playing a veyr important role in the BMC elections across the state," Pradhan said.